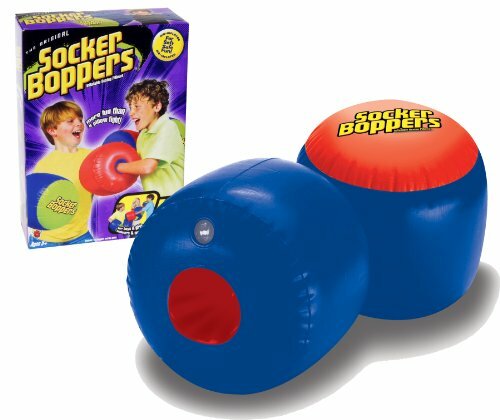 Leave the pillows on the bed - pillow fights are old news when you have Socker Boppers. These inflatable boxing pillows feature durable vinyl construction and double cavity air chambers that inflate easily. Each set features two 9in.L x 10in. dia. boppers - buy a second set for a sibling or friend!